The Nylander saga enters a new phase, the Bruins are looking to trade, a major Kings shakeup could be looming and more in today's Rumour Report. The Nylander Saga is entering the final chapter with time running out before the December 1st deadline. Reports suggest the Leafs have begun trade discussions with teams around the league - including Carolina, Philadelphia and Los Angeles. Rumours suggest the Hurricanes may offer up Brett Pesce or Justin Faulk, while speculation has pointed to the Flyer's Wayne Simmonds or Kings defensemen Alec Martinez and Jake Muzzin as possible pieces going the other direction. The Leafs still hope and expect to sign Nylander, but the closer it gets to the deadline, the easier it is to see things going off the rails. It's believed the Leafs offered or plan on offering something in the same neighbourhood of the $6.6 x 6 year deal the Bruins handed David Pastrnak in 2017. Knowing their odds of landing William Nylander aren't particularly high, the Hurricanes' search for offence is rumoured to have expanded beyond the talented RFA. It's not clear who they're targeting as of yet, but it's something to keep an eye on. For what it's worth, the Habs, Oilers, Kings and Bruins have put forwards on the block in recent weeks. The Bruins are believed to be exploring the trade market for a little more veteran help. Rumours suggest Anders Bjork and Danton Heinen have been dangled on the market in recent weeks. The Bruins are off to a bit of an uneven start. The Kings may be looking for a major roster shakeup as they continue to stumble out of the gate. 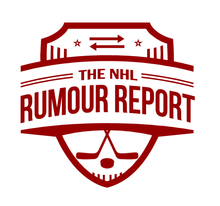 In addition to their pursuit of William Nylander, and their rumoured dangling of Tanner Pearson and Alec Martinez, a few more names are starting to surface in the rumour mill. 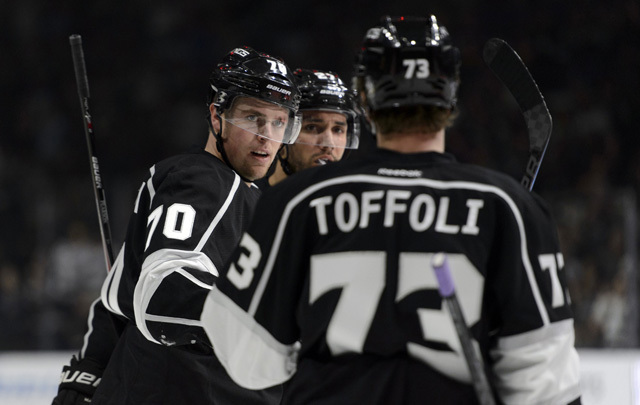 The Kings trade block may now include names like Derek Forbort, Jake Muzzin, Tyler Toffoli and Kyle Clifford, while GM Rob Blake's seat gets increasingly hot. The longer the Kings dwell in the basement of the NHL standings, the bigger the changes might be. Rumours continue to swirl around Oilers winger Jesse Puljujarvi, with the sense that there is growing frustration on both sides and the situation could be coming to a head now that he's been sent down to the American Hockey League. Twenty is far too young to determine if a player is a bust or not - but the Oilers and GM Peter Chiarelli are in a rush to get the team contending again, and may not have the patience to see this through.